In the past, Continental has handed out three awards in recognition of great achievement and success at our communities: Rising Star, Community of the Year, and Community Manager of the Year. At the Managers’ Meeting this year, a new award was added to remember a man who made an extraordinary impact within our Springs Communities for over 12 years. 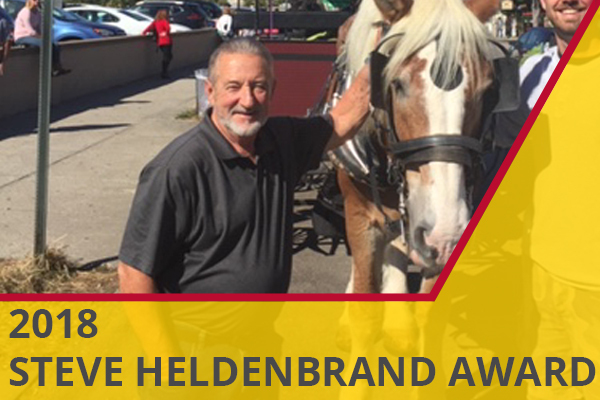 Steve Heldenbrand recently passed in November of 2017, but his energy, drive, and aptitude for customer service has lived on. Steve started working for the Springs at Bandera as a Maintenance Technician on August 22, 2005, where he quickly progressed and was promoted to Maintenance Supervisor. As Steve continued his career with Continental, he made moves to Springs Communities across the country: Huntsville, AL Plainfield, IL, and Charleston, SC. Steve always had a strong work ethic and a “do whatever it takes” attitude. Above everything, Steve was hard working, compassionate, and always strived to do it better than it had been done before. In honor of Steve, the below team members were nominated by the Senior group to be recognized for their achievements and above and beyond customer service. It was an honor to present the first ever, 2018 Steve Heldenbrand award to Buck Healy. Since day one at Knapp’s Crossing, Buck has been very involved in all aspects of the lease up. He knows his numbers, including prelease percentage, in place rent roll, and number of leases needed to stabilize. He created rapport with Rhode (our GC) right away and took it upon himself to learn the rough of the buildings and even worked with construction on our warranties and punch walks. Buck’s attention to detail and high expectations have contributed to the average SR completion in 48 hours of 91.37% (632 requests for the year) at a lease up. Buck has helped to create a great sense of community and maintains a professional, yet friendly demeanor during each maintenance request, helping to contribute to our successful 9.28 average maintenance score rating for 2018. Buck has shown and leased multiple apartments as he assists in the office during busy times. He loves to give ideas on how to improve processes, has a great attitude each day, and more impressive yet, he does all of this with a smile. Congratulations to Cory and Eddie on their nominations, and Buck on his well-deserved award.